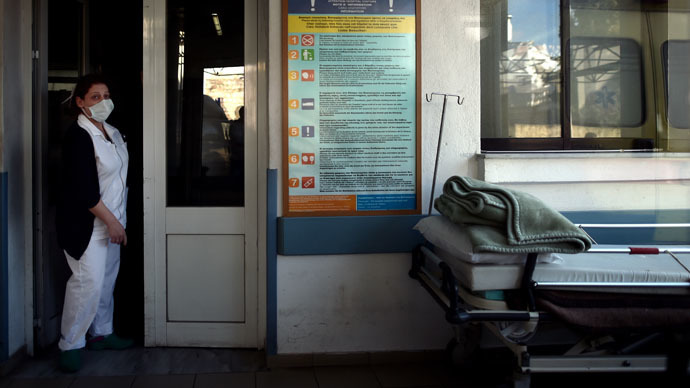 Hospitals across Greece are lacking the most essential supplies, including painkillers, scissors and sheets, as years of economic meltdown have left the country’s healthcare system in a desperate state. The number of uninsured Greeks has reached 2.5 million compared to 500,000 in the pre-crisis year of 2008, the Timesreported. Healthcare spending has dropped by 25 percent since 2009, leading to shortages of medical equipment and a lack of funds to pay nurses’ salaries. The country spends around 11 billion euros annually on its public healthcare system, which is one of the lowest rates in the EU. According to media reports, some Greek patients have had to undergo painful medical procedures without anesthetics. People have also been turned away from hospitals, as they didn’t even have the equipment to measure their blood pressure, the newspaper learned. On one occasion, a patient was even asked to bring his own sheets to the infirmary from home. A trainee surgeon at KAT state hospital in Athens described the situation at his hospital as being at the “breaking point”. “There is no money to repair medical equipment, no money for ambulances to use for petrol, no money to hire nurses and no money to buy modern surgical supplies,” he told the Times. In April, the new Syriza government vowed to battle the “barbaric conditions” in public hospitals, as well as corruption in the healthcare sector. Despite money shortages, Greek authorities abolished the 5-euro fee to visit state hospitals and have pledged to hire an additional 4,500 healthcare workers. “We want to turn the health sector from a victim of the bailouts, a victim of austerity, into a fundamental right for every resident of this country and we commit to do so at any cost,” Alexis Tsipras, the Greek Prime Minister, said. “We will not tolerate the exploitation of human pain,” Tsipras stressed. However, the fulfilment of the PM’s plans is in doubt as finance minister, Yanis Varoufakis, recently warned that Greece would run out of money in a matter of weeks. 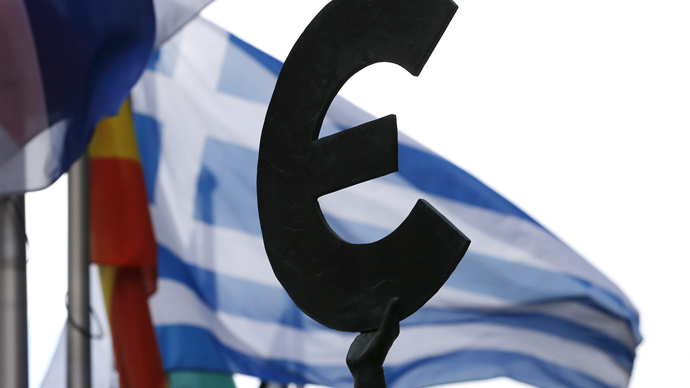 Athens should repay 300 million euros to the International Monetary Fund by June 5, with Greece likely to default if Eurozone creditors won’t agree to loan it an additional 7.2 billion euros. On Sunday, the Greek Interior Minister said that Greece will not be able to make the next tranche of debt repayment to the International Monetary Fund (IMF), as the country’s coffers are empty. Talks between the sides continue, with Varoufakis blaming creditors’ insistence on more austerity for the stalemate. “Our government cannot – and will not – accept a cure that has proven itself over five long years to be worse than the disease,” the finance minister wrote in a Project Syndicate op-ed. Talks between Athens and its international lenders reached a stalemate over the Greek authorities’ refusal to carry out labor and pension reforms, as well as lower fiscal targets established within the framework of the bailout program.